While shopping for groceries I found a silicone honeycomb pot holder and right there I had my mind set on honeycomb cookies. I often find ordinary items and use them create different cookie designs. Honeycomb pot holder could be use with fondant or gumpaste as well. 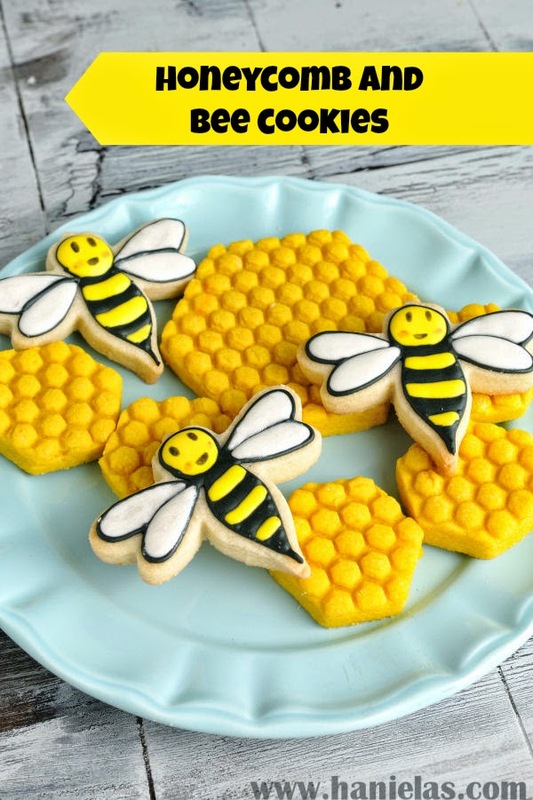 They were super easy to make and with a little decorated bee they make for a pretty centerpiece. I hope you like it, too. I use sandwich bags to decorate cookies, you can use what ever you are the most comfortable with, piping bags fitted with piping tips or bottles fitted with piping tips. 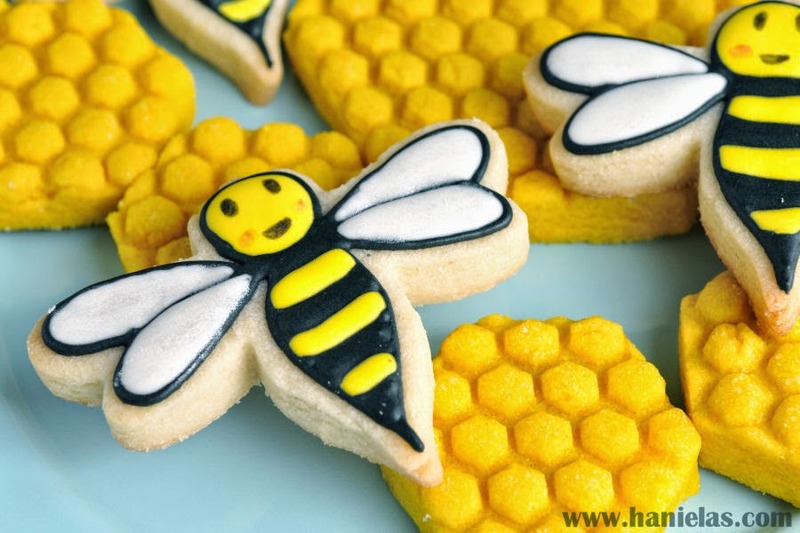 Learn how to make pretty Honeycomb and Bee Cookies in a video tutorial.